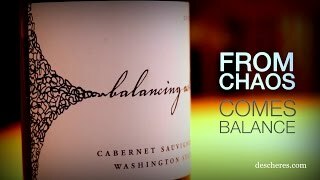 Balancing Act is the perfect entry point into the world of Washington Cabernet. Get a distinct taste of the region with this deep, inky and savory Cab that has a frisky spice-and-pepper bite, which makes it great with grilled beef and game meats. From chaos comes balance! Made by Walla Walla’s Tamarack Cellars, the Balancing Act label is about offering the highest quality wines possible, but at an everyday price point. A smooth and chocolatey Cab, savory and heavy in the mouth, with tons of jammy black fruits and piquant spices on the finish. Steaks off the grill, roasted game and poultry, spicy stews and chili!